A vacation with Aston Martin sounds like an enthusiast's dream. Aston Martin wants owners of its exquisite cars to maximize their enjoyment and to that end is now , where owners can learn how to drive their cars on the track without worrying about speed limits or expensive tickets. 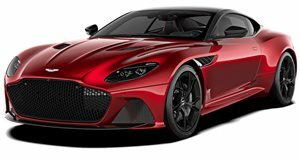 This sounds great for the speed freaks out there but Aston is a luxury company as well as a sports car manufacturer, so it wants to offer an exclusive lifestyle experience as well. Aston is, therefore, putting on a separate group of events called the Luxury Lifestyle Program. 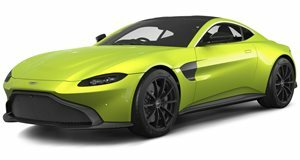 This program has been crafted for those who want to "live life the Aston Martin way, indulging in curated lifestyle experiences in areas such as travel, haute cuisine, sport, fashion, and culture." The Luxury Lifestyle Program includes nine pre-planned events, three year-round experiences, as well as a driving course during certain months. The first event begins in February at the Tokachi International Circuit in Japan, where special instructors will teach participants how to drive an Aston Martin on ice. Things warm up in May with exclusive access to the Monaco Grand Prix and private helicopter transfers to watch the 24 Hours of Le Mans. Participants can also choose to attend the Goodwood Festival of Speed in July or the Singapore Grand Prix in September. 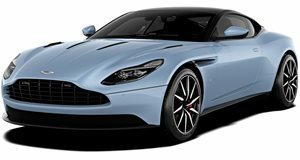 If you prefer a driving event, Aston will offer scenic road trips through the Swiss Alps and the state of Utah. Aston has also partnered with the Waldorf Astoria to create luxury events in Beverly Hills, California, and Paris, France. From February to November, owners will even be able to attend a driving course at the Millbrook Proving Grounds in the UK. Don't worry about not being able to attend one or all of these events because Aston will also be offering year-round tours of its facilities in the UK. To learn more details about these events and to see a full schedule, check out .